I should have posted this earlier, this being late in the day on Superbowl Sunday and I am sure all of the dishes have been made for parties. It’s still a delicious salsa that can be enjoyed anytime. I did take some inspiration from The Pioneer Woman’s recipe for “Shrimpo de Gallo”. 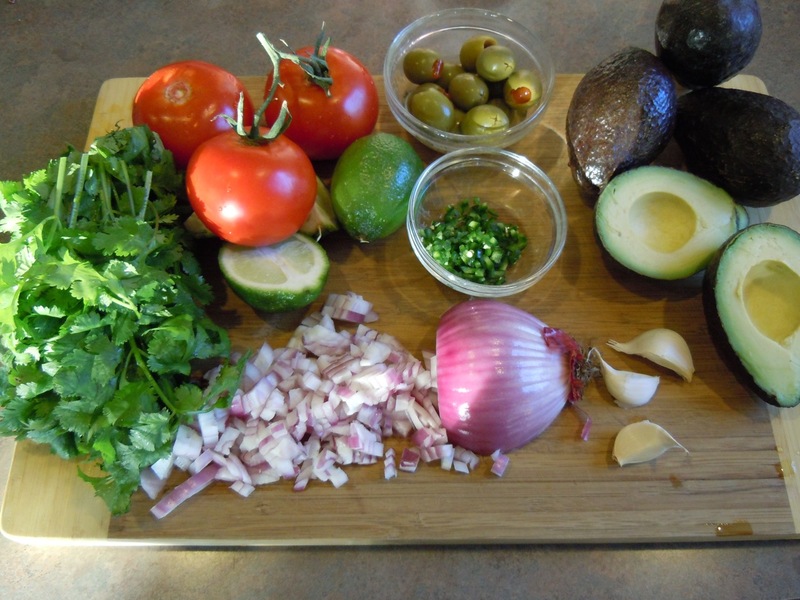 Avocados, tomatoes, jalapenos, cilantro… yum! 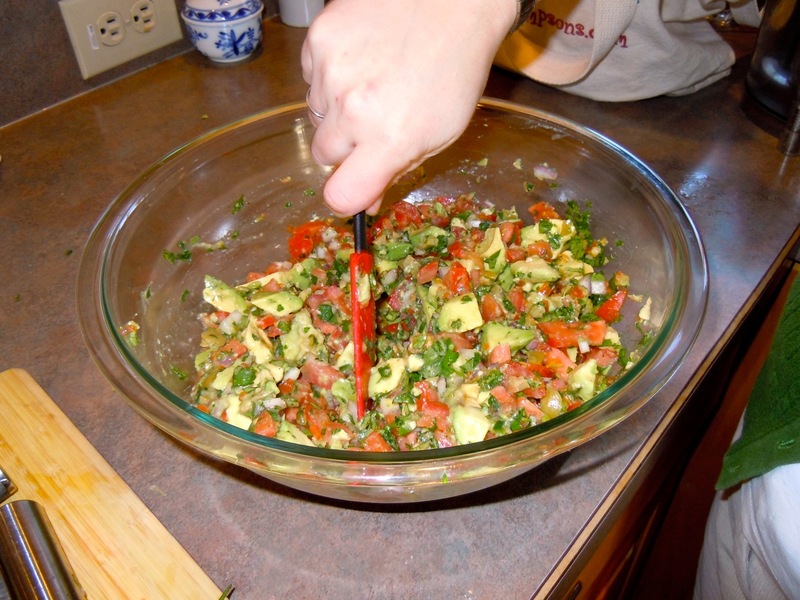 This makes a great chip dip, salsa over grilled fish or chicken or use instead of regular salsa on your favorite tacos. When I made this as the Pioneer Woman made it with shrimp it was good, but I think it is just as good without the addition of the shrimp. I think every grocery store has had avocados on sale lately and even though tomatoes are not in season ( I am sure this would be delicious in the summer) I was able to find tomatoes on the vine that were pretty good. *** The Pioneer Woman recipe added ½ cup Green Or Black Olives, Chopped as well as 1 pound of peeled cooked shrimp that was chopped. You can use either or both ingredients, I felt the olives didn’t add a lot. 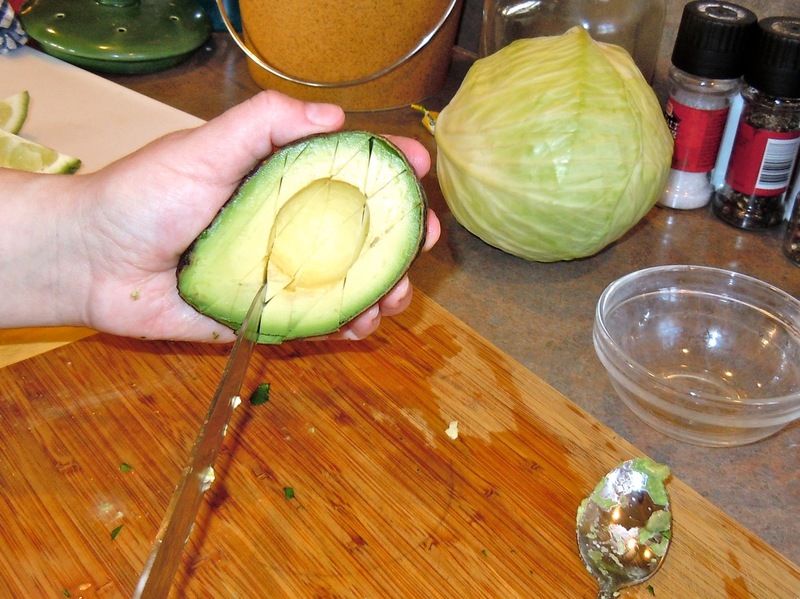 Once all of the ingredients are prepped, combine, add lime juice and salt and pepper to taste. I suggest letting it sit in the fridge for about an hour before serving to give everything a chance to mingle. This may last for a day or so in the fridge, but the avocados will start to turn brown, so grab some chips, a piece of grilled fish or chicken and Enjoy! ← Brownies make everyone Happy!